A privately owned and meticulously maintained small complex of superb holiday cottages. 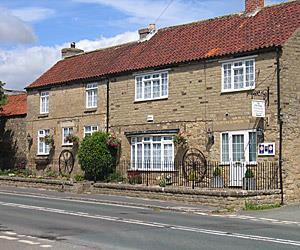 Situated in open countryside yet only 15 minutes from Scarborough and the beautiful North Bay beaches. 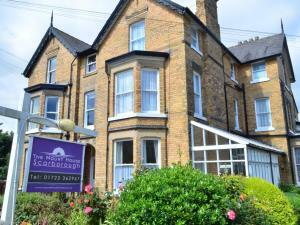 Warm friendly family-run guest house located on Whitby's West Cliff, minutes from the beach and town. Extensive breakfast menu, all food cooked to order, special dietary requirements catered for. Free Wi-Fi, free on-street parking permits. Luxury accommodation situated in the Old Town of Scarborough. Close to the Castle and old market hall, 200 metres to the beach and seafront. The Harbour, The Spa and the town centre are just 5 mins away. Family run guesthouse with stunning sea views. 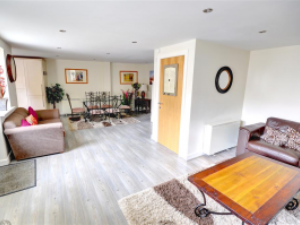 Situated on the magnificent West Cliff area of Whitby, close to the town centre and all other amenities. Also within a 5 minute walk of Whitby Pavilion. Handsome 18th Century coaching inn with oak beamed ceilings, open fires, newly refurbished residents Lounge and Restaurant. Friendly service and quality, comforting bedrooms. Small, family-run guest house, with a 4-Star Rating. Offering excellent home cooking, close to many amenities. 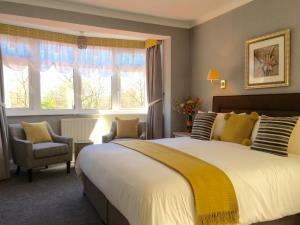 Popular luxury 4-Star quality riverside holiday apartment. Fabulous views of the harbour/Abbey. 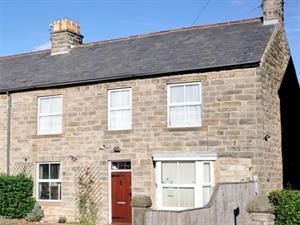 Gentle stroll to Whitby town/beach/amenities. Private parking. Disabled access/wide doorways. Riverside walkways. Sleeps 4/5 + baby. Free Wi-Fi. Family-owned park with luxury caravans for hire, ideal for families and couples. Full range of facilities including heated indoor swimming pool. Only five miles from the attractions of Scarborough and two miles from tranquil Filey. The Old Forge Guest Accommodation is a cleverly converted Blacksmith's Cottage and Forge, dating from 1701. The cosy, inviting and relaxing atmosphere, and amazing breakfast, ensures our guest become regular visitors. Looking for a clean and comfortable place to stay? Try the Philmore. Close to all North Bay attractions and renowned for our tasty home cooked food. 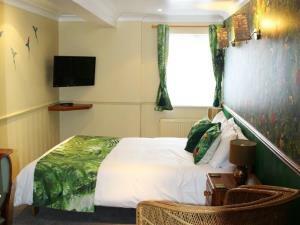 All our ensuite rooms have a flat screen TV, Wifi, refreshment tray and hairdryer. Elegant Victorian house overlooking peaceful Square. Fully equipped, private facilities. Comfort and cleanliness guaranteed. Pets welcome. The farm is in a quiet haven of North Yorkshire one and a half miles from Pickering and set in 32 acres on the banks of Pickering Beck. Our farm based accommodation consists of three timber lodges (sleeping 4-6) and a 2 person cottage. 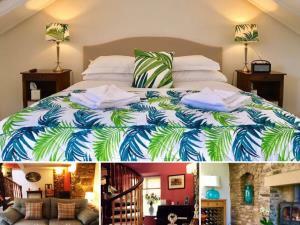 Blacksmiths Boutique B&B offers six luxury individually themed rooms. We are situated on the glorious North York Moors on the main A171 road, four miles from Robin Hoods Bay, seven miles from Whitby and eleven miles from Scarborough. Family house B&B having three rooms on first floor - Double (en-suite) / Twin (en-suite) / Twin (shared bathroom); Single room on second floor with toilet and washbasin. Full English or Continental Breakfast included. Friendly family run 100% Non Smoking Guest House with private parking on a quiet street.15 minute stroll to Beach, Spa Complex, Town, Theatres & Railway Station. Come & let us spoil you! Individual, comfortable en-suite rooms set in a quiet courtyard, adjacent to traditional farmhouse. 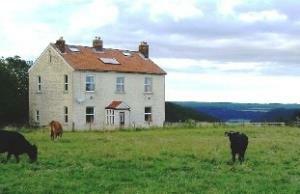 Five Acre View is a traditional stone built cottage set in the heart of the North Yorkshire Moors. Hotel Columbus is a detached purpose built hotel with private car parking for up to 8 cars. We are situated nearby to all the North Bay attractions, A few minutes stroll from Peasholm Park and the sandy beach of the North Bay. 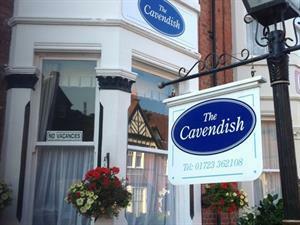 Exclusively for adults, this detached friendly hotel offers Gold accommodation and specialises in comfort and quality. Excellent cuisine by resident professional chef. 100% non-smoking. Off road parking, cocktail bar. Special breaks. All rooms en-suite. Fully refurbished. TV/Videos. Refreshment tray. Car park. Guest Conservatory. Home from home. Amanda and Mike Hawtin offer a warm friendly welcome to their elegant Victorian townhouse. Guests will feel at home in a luxury B&B with lovely rooms and delicious Aga cooked breakfasts using fresh local produce to start your day!